Entrepreneurs typically face an array of challenges with a failure rate which is dauntingly high. Estimates range from 75 to 90 percent of startups failing within the first few years – those numbers are enough to give even the most stoically resilient and determined entrepreneur pause for thought. The good news is that a strong brand strategy can vastly improve your chances for entrepreneurial success. If over 80% of the Fortune 500 Company CEOs, rate ‘their brand’ as their company’s number one asset, then maybe you should be giving the planning and thought around your brand a lot more consideration than merely tokenism. When building a brand, it’s vital for entrepreneurs to realize that brands are not solely visual. The most common misperception is that many think their brand is just their logo and not much else! A logo is not a brand. This one of the most prevalent mistakes business owners, and designers alike make – much to their detriment. A brand is what your product or service ‘stands for in peoples minds, what it means to them’ and ‘branding is the process of executing and managing things that make people feel the way they do about your brand’. What your brand stands for, its values, promise, customer experience and those associated feelings your brand provokes through its story, and so forth, are what determine the creative design brief for what you logo, and all your other visual materials, actually look like. Your logo is merely the visual idnetifier for your brand, assuming it is well designed enough to appropriately convey your brand meaning in a very distilled visual representation. In short you need to build your brand profile first, before you start designing your logo. If you define what your brand is all about from day one, through your brand profile, it will provide you with absolute clarity on the direction of your brand strategy in parrallel with your business strategy and overall business plan. It will provide you with the right direction for all the different choices you will need to make such as suppliers, communications, online interactions and marketing activities etc. The question here is what’s different, really different about what you’re offering? Slightly different is not good enough. If you want to stand out, you’ve got to be brave and think bigger – dare to be different with your brand in a way that is really relevant to your primary customer. This is what gives your brand substance and potential sustainability – not a logo. You can have the most beautifully designed logo but that still won’t make it into a brand. 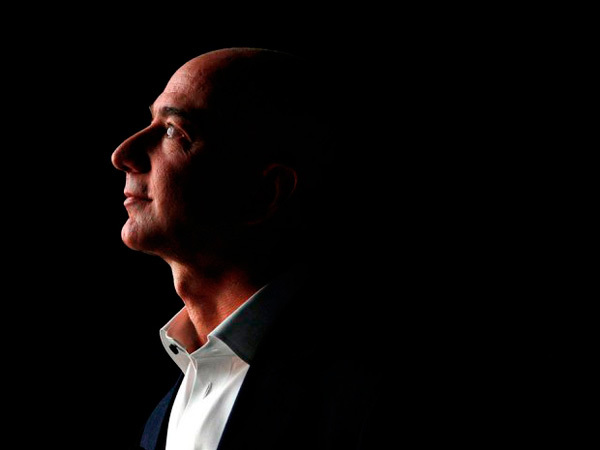 One entrepreneur that has defined a brand very succinctly is Jeff Bezos, the founder of Amazon, when he said: “Your brand is what people say about you when you’re not in the room.” Successful branding is about winning and keeping customers, about influencing choice, and ultimately about finding and dominating your place in the market. Checkout these top five branding tips to help you achieve a stronger start and give your budding business a better chance of success. For any entrepreneur or startup, it’s never too early to begin building the foundations of your brand. In fact, you should have your brand well developed and thought through so you can put it to work for your business long before you interact with your first customer. This can be summed up in Simon Sinek’s quote ‘People don’t buy what you do, they buy ‘why’ you do it, and what you do simply ‘proves what you believe’. Understanding is the first step to building a successful brand. You must know, as a company, exactly who you are, what you stand for, why you do what you do, and what you have to offer your prospective customers that they can’t experience or get anywhere else. Your brand must emotionally and intellectually have the power to engage, motivate and inspire both your prospective customers and your people internally. What is your company’s mission? What will you deliver to your customers—not just in terms of products or services, but emotionally and as an overall customer experience? What benefits and features of your company’s products and services are unique to your business? How will your brand enhance your customers lives and/or solve their problems? What qualities do you want your consumers to equate with your company? What should your business be synonymous with in one year, five years, ten years? Will it still be relevant and powerful in one year, five years, ten years or twenty years plus? Would you fight to protect what your brand stands for? Do you believe in it so strongly that you simply won’t compromise on it? Is it fundamental to your core belief system? Once you have fully fleshed out your business brand vision and values, you can begin distilling your core message into a powerful and captivating brand communications strategy that puts your brand to work effectively. However this can only be done authoritatively when you have a very clear picture of who your ideal core target audience is. Do you know what their needs, wants, loves, hates and aspirations are? How and where do they live, what age and gender are they? You need to build your customer persona or avatar because its only when you have absolute clarity on what this is, that you can create a brand that will truly resonate with your core target audience. You need to create a brand that meets their emotional needs because when people buy, be that a product or service or into your ideas, they buy with emotion – not rational. Think about it, you can’t build something of substance and compelling meaning if you don’t know or understand who you core customer is and what matters most to them. While a brand isn’t just about visuals, your brand collateral or visual materials are far more important than most entrepreneurs often realise. Think about all the brands you know that are instantly recognizable: the BP flower, the Nike swoosh, the red Coca-Cola can, McDonald’s golden arches, and Apple’s…apple. For any entrepreneur or startup, a well-designed logo can become a powerful hook for your brand. It’s your brands identifier and like a tattoo, not something you easily or readily change once you start establishing it – so it needs to given some serious thought and investment from day one. In short it needs to be invested in properly as does all the rest of your brand collateral be that your website, brochures, PowerPoint or Keynote Presentations, packaging, direct mail, advertising, social media presence and videos etc. Your brand collateral is the tangible evidence of your brand and it must be designed to congruently reflect and tell your brand story, its values and personality properly. Every single touch point or piece relating to your brand must be consistent and properly designed. They are the tactile materials of your brand, an extension of your reputation and part of your branding strategy. Every business has competition, and as an entrepreneur, your startup must stand out from not only the established companies in your industry, but also the thousands of other startups launched every year. This means that having absolute clarity on what your brand stands for, what your ‘big why is’, and how you’re going to communicate your message and that distinction to your customers, is crucial to your brands’ potential success. Distilling your brand values, what it stands for, its personality, the do’s and don’ts of how it will behave and the experience it will create for your customers through all the various ‘touch points’ of its interaction with them is critical to its potential success. It can be challenging to properly and fully develop your ‘brands’ profile’, but once done becomes vital to the fundamental success of your business and part of your ongoing business strategy and plan. It’s integral to your business model. As an example, many entrepreneurs around the world have built their success through a brand profile that has been strongly rooted in the provenance of their unique geographic location. The hospitality and restaurant industry is particularly crowded, but with enough differentiation from other restaurants in the same locality and an authentically lived and experienced brand story, you can attract a loyal customer following. The world you create around your brand must be authentic with an almost theatrical piece of escapism, from a customer experience perspective. From the moment they stand outside your door, metaphorically speaking, to consider a purchase from you, your brand must offer them something they can’t get or experience anywhere else. It must richly express its own personality in a way that’s truly relevant and compelling to your target audience. One restaurant owner in Madison, Wisconsin, USA, not only created success with her brand proposition, but also used it to elevate her status from entrepreneur to icon. Odessa Piper’s vision led her to launch a fine-dining establishment, L’Etoile, in the middle of a large farming community, which became successful due in large part to her brand vision and commitment to serving only the highest quality, locally sourced food. While sustainable dining may be nothing new today, it’s important to note that Piper opened L’Etoile in 1976, making her a pioneer of the farm-to-table movement and earning her the title of “First Lady of Cuisine” in Wisconsin. Every successful brand comes with an unshakeable promise—in fact, your brand promise is a core part of your brand. You don’t have a meaningful brand without a brand promise. Having a brand means that your customers can and should expect certain rewards whenever they interact with your company. Whether that promise is incredibly great quality ingredients “using only the really good stuff”, exceptional customer service that “goes beyond just the good to an exceptional and unforgettable experience” or “social distinction in a class of its own”, the key to sustaining your entrepreneurial business is to deliver on your brand promise – every time congruently and consistently without question. Your brand promise must be non-negotiable in its delivery and fulfillment all the time. International makeup artist and successful entrepreneur Ruby Hammer understands and capitalizes on her brand promise. Hammer co-created and launched the now-discontinued Ruby & Millie makeup brand in partnership with Boots—but she’s also responsible for the launch of other successful brands in the UK, including Aveda, L’Occitane and Tweezerman. 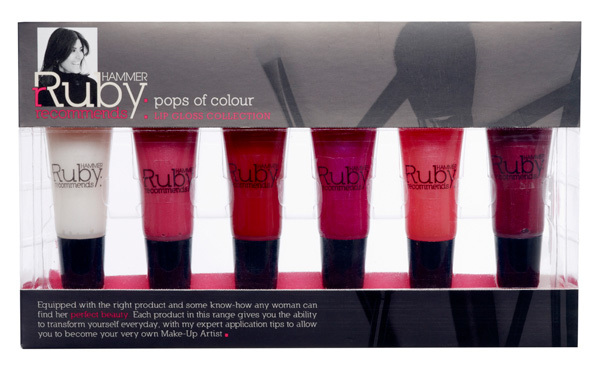 She was awarded an MBE in 2007 by the Queen, and she’s recently launched a new line called Ruby Hammer Recommends. Successful brands not only give customers the expectation of a unique perspective and a valued experience, they deliver on that promise to provide something undeniably and irresistibly desirable. The majority of new businesses may fail, but yours doesn’t have to be one of those sorry statistics. Strategic branding with a clear message that communicates the unique experience and attributes of your offering can help you win and sustain your business from day one. Commit to building a strong brand foundation to attract and underpin a loyal customer base. This will in turn inspire your brand advocates who in turn will help you spread your brand name and reach much further, and most importantly, help you build an ongoing profitable empire. • Does your business have a strong brand profile? If not, how can you create one? • Do you understand what your target audience wants, and exactly how you can meet their desires? • Does your logo really stand out in its uniqueness and distinction, capturing the essence of your brands’ mission, vision, and qualities of your business at a glance? If not, how can you improve it? • How can you measure the effectiveness of your startup’s brand? • What channels are you using to spread your brand, both visually and conversationally? Drop us a line and share your thoughts in the comments, we’d love to hear from you!